Milan welcomes Torino in a last game from the 15th round of the Italian Serie A. Let’s take a look at this game at the Stadio San Siro. Milan are continuing to fight to achieve their main goal, which is a finish in Top 4 and a return to the Champions League. Right now the Rossoneri are 4th in the standings with 25 points, having one point advantage in front of the 5th Lazio. 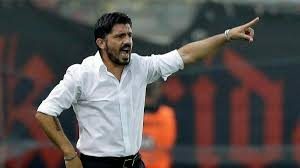 This means that Gennaro Gattuso’s team is going to chase the win and nothing else on Sunday night. Right now Milan have a record of 7 wins, 4 draws and 3 losses since the beginning of the campaign. In their last five games Milan won three times, made one draw and conceded one defeat. In their previous fixture the Rossoneri celebrated a tough, but important 2-1 win over Parma at home. Roberto Inglese opened the score for Parma soon after the halftime break, but Milan turned the game around with goals from Patrick Cutrone and Franck Kessie. Torino on the other hand are 6th in the Serie A standings, also fighting for a qualification for the European competitions. Right now the Bulls have 21 points and a record of 5 wins, 6 draws and 3 defeats. In their last five games Torino won twice, made two draws and suffered one defeat. In their last game the Bulls won against Genoa, beating the Griffoni with 2-1 at home. Christian Kouame opened the score for Genoa, but Cristian Ansaldi and Andrea Belotti brought joy to Torino’s fans with two quick goals in the injury time of the first half. 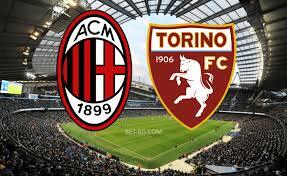 That’s what we had to say about the Serie A clash between Milan and Torino at the Stadio San Siro. This shall be a really interesting game to watch. Good luck!